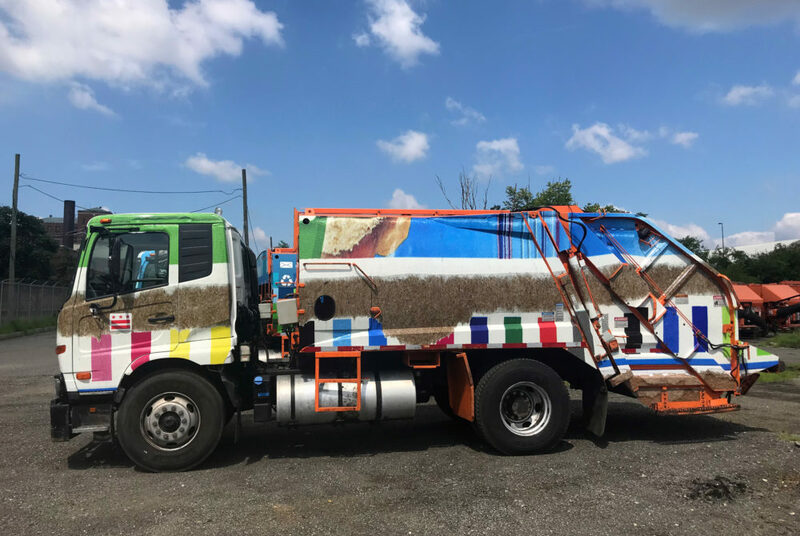 Artwork by Dean Kessmann, an associate professor in the Corcoran School of the Arts and Design, is now plastered on a recycling truck in D.C.
D.C.’s recycling trucks recently got a makeover. The D.C. Department of Public Works, along with the D.C. Commission on the Arts and Humanities, selected 15 local artists to revamp recycling trucks that will continue to be rolled out through the next month. Each artist designed a work that was scaled up in size and plastered on the outside of a recycling truck used around the District. An open call in February encouraged all creatives to apply. Muralists, graphic designers and painters alike submitted their work and a panel – made up of employees of the Department of Public Works and truck drivers – judged 30 applicants and selected 15 for the final project. The 15 new trucks feature designs with slogans like “waste not, want not” and “recycle now” in bright colors. Others feature the recycling logo and odes to D.C. with the flag serving as a backdrop. Dean Kessmann, an associate professor in the Corcoran School of the Arts and Design, designed a piece that resembles a torn up commercial package with a bright color palette. The green, yellow and pink pops of color contrast the hues of a cardboard box on the outside of the recycling truck. His design was approved, and within months the design was transformed from a computer image to fit on a garbage truck. Kessmann’s car officially hit the streets of D.C. earlier this month. Kessmann said his design highlighted the attention-grabbing designs, photographs and text often found on cardboard packaging. When you open a flashy box, he said, its appearance is forever altered, an imperfect package easy to tear and toss out. “This work opens up the possibility for viewers to make newly discovered associations between high art and consumerism through the visual language of popular culture,” Kessmann said in a release. The potential artwork was judged upon two main criteria: whether the design pertained to the message of recycling and if the design would translate to the dimensions of a garbage truck. 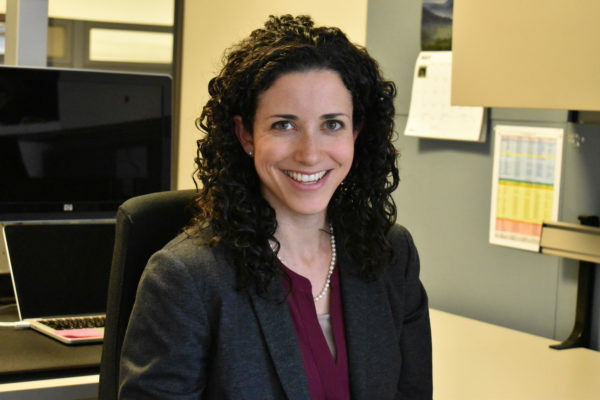 Lauren Dugas Glover, public arts manager at the Commission on the Arts and Humanities, said the goal of the initiative was to engage the public with D.C. garbage truck drivers and art, while allowing artists to celebrate recycling through their work.